This is MG fiction. Fun, well-written, fast-pasted without skimping on story and character development. The writing voice really captured me as well. Told with a fairy tale flavor, it had me smiling in so many places. There are dark bits, of course, as any good fairy tale has, but they're not told in gruesome detail. The story world has a lot of familiar tropes--witches, wizards, werewolves, etc.--but all handled in unique ways. The magic system is really cool, as are Jinx's particular abilities. 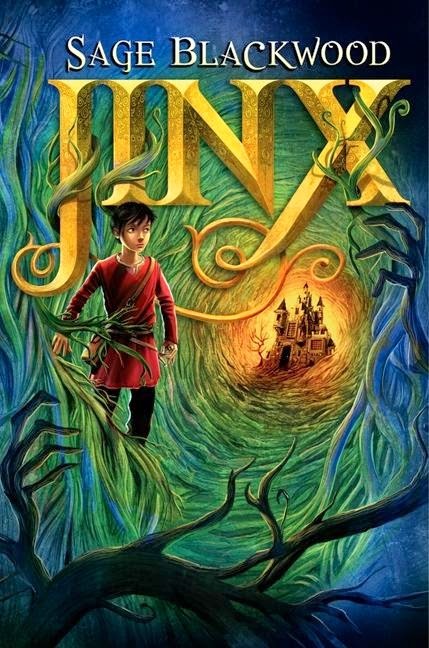 I totally connected to Jinx and LOVED Simon the wizard--and the way the author shows the good and bad in all the characters impressed me. As I mentioned, I'm reading the sequel, Jinx's Magic. If your looking for good middle grade fantasy, seriously, get this series.